Whether you are organising a party, fundraiser, awards dinner or other event, budget is one of the biggest things to keep in mind. You want to create an amazing look and feel, but not overdo it from a cost perspective. One of the great things about décor and decorating is that by merely being creative you can often overcome any budgetary hurdles. Look for entertainment and décor that are unique and will spark conversations amongst your guests. Think of the mood that you want to create, the ambiance you envisage will be the starting point for your décor requirements. Are you going for jubilant, romantic or exciting? Things like lighting and the room décor can also assist with this to a great extent. 1. Think outside the box when planning, novelty is the key. Give your guests something to Instagram and tweet about, and even to tell their friends about. 2. 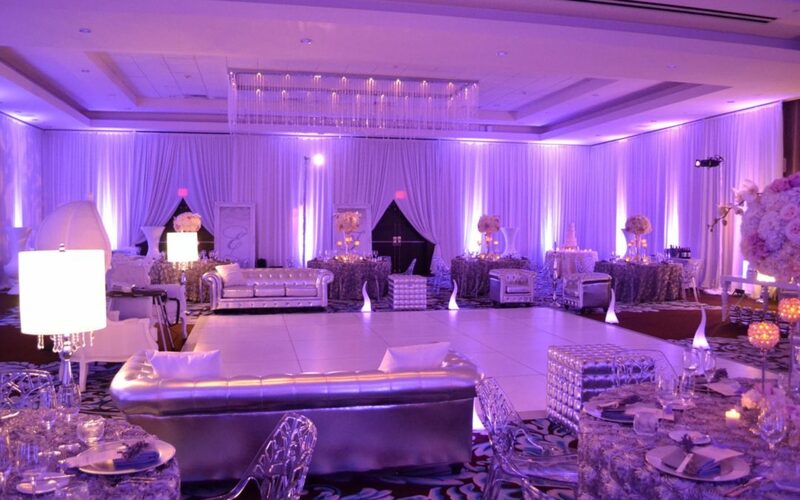 Create an exciting ambiance by using different stage settings, lighting, and music or think different – ice carvings, candles, balloons, aerial artists, bubble machines and more. 3. Consider different sorts of entertainment – strolling musicians, palm readers, 80’s themed arcade games, indoor mini golf etc. 4. Remember that entertainment doesn’t have to come in the form of people or bands. A funky cocktail bar with flaring barmen or a chic coffee bar serving all sorts of coffee related beverages is eye catching, or even a chocolate fountain will intrigue guests. 5. 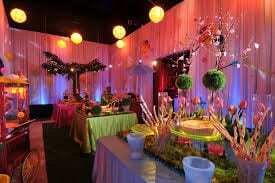 Find out what décor the venue has in house that you can use at no cost. 6. Check with the venue regarding any restrictions they may have, before ordering those fire dancers. 8. Cut down on costs by choosing a themed venue and then create your event around that – for example a decorated Moroccan restaurant can become your Arabian Nights themed event of your dreams. 9. Popular themes can come along the following lines of The Roaring Twenties, Bastille Day, 4th of July, Where is Wally, Rock and Roll or a Night at The Oscars. 10. Choose appropriate entertainment for your group. A group of serious lawyers may not want a belly dancing tutorial – however a treasure hunt with prizes may bring out their competitive nature. Karaoke, online app games etc can also be a hit. 11. Check out your suppliers references, especially if you have never used them before. How flexible, easy to work with and critically, reliable are they? Also ensure that sure their act is a good fit for your audience, point above. 12. Find out whether your entertainers need extra items, such as lighting or décor for their act. Will they supply that, or is that up to you? Have a venue walk through with your selected entertainment group, and ensure sound checks, timing orders etc with them, to ensure a smooth running event for everyone staging, lighting, or décor to create the right ambiance. Discuss how they will engage with the audience in their show, and make sure it’s appropriate for the crowd. 13. If you are serving a standing menu – don’t serve anything messy, and make sure that is easy to eat with just one hand and a fork. Don’t forget to include vegetarians on the menu, and work on roughly 12 pieces per guest if you are serving a meal, or 6 pieces for a cocktail event. 14. Another key point is making sure the service of alcohol runs smoothly, you don’t want to run out of beverages in the middle of the party, and make sure you have enough staff to manage the bar, so that guests don’t have to queue for a long time, as this can ruin the mood of a party. Make sure you have a good selection, and if the bar is on the client, possibly look at offering a limited selection of basic alcohol on the house to keep costs down. I hope that you found these tips assistive, and that with this information in mind, your next event is a roaring success.